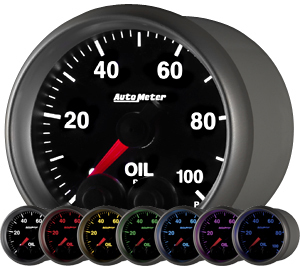 Autometer Elite Series instruments incorporate significant advancements in gauge precision, visibility, and functionality for the racing environment. Key features include an expanded viewing area, digital stepper motor movements with advanced circuit designs for improved durability and precision, and small solid state data acquisition grade sensors. User selectable 7 Color “ALWAYS-ON” HiDef LED illumination provides optimum visibility in bright sunlight and total darkness. Enhanced with Pro-Control functionality, these instruments allow drivers to set custom alert points specific to their vehicle and receive High and Low Full Dial Warning Notifications to highlight the need for driver attention. Acquire data for later review with one touch Peak Recall functionality and/or transmit monitored data via signal outputs to a Data System or EMS. 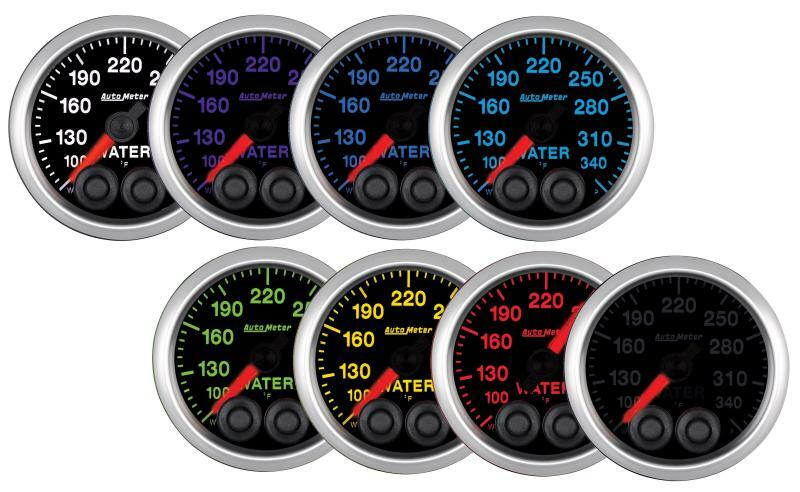 Elite Series gauges can also streamline your vehicle setup with built-in dual Pro-Control output circuits and custom programmable activation and deactivation points for key functions like lights, fans, switches, and pumps.